Originally from Saint Vincent and the Grenadines, Adonal Foyle will bring his experience as an international basketball player to the NBA Academy Advisory Committee. After a stellar college career at Colgate University where he was a two-time Patriot League Player of the Year (1996, 1997) and an AP All-American (1997), Adonal was selected by the Golden State Warriors with the 8th overall pick in the 1997 NBA Draft. He spent ten seasons in the Golden State Warriors organization before playing for the Orlando Magic and Memphis Grizzlies. He retired from the NBA in August of 2010. Adonal will introduce all NBA Academy student-athletes to his life-skills training workshops, focusing on areas such as education, finances, relationships, and all other off-court related concepts that young basketball players may experience. His teachings will enhance the NBA Academy’s holistic, 360-degree approach to player development. 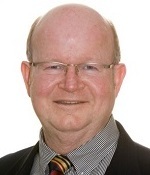 A member of the Australia Basketball Hall of Fame, Patrick Hunt is one of the most well-known basketball minds not only in Australia but around the world. For over four decades, Hunt has nurtured the best Australian players, coaches and officials and guided them towards unparalleled success on the domestic and international stages including Olympic Games, World Championships and World University Games. 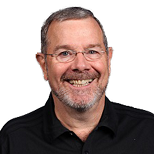 Patrick continues to strive to develop the game of basketball on a national and International scale as the current President of the FIBA World Association of Basketball Coaches and the Chair of the FIBA Technical Commission. Patrick will advise the NBA Academies on international basketball trends and player development. 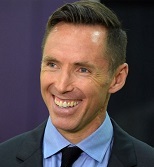 Steve Nash is one of the most prolific and successful basketball players in recent history. The Canadian was an 8-time NBA All-Star, 7-time All-NBA selectee, and back-to-back NBA MVP in 2005 and 2006. He led the NBA in assists five different times, and has the third most assists in NBA history. He has the highest free throw percentage in NBA history and is in the top 10 in career three-point shooting percentage. He currently serves as general manager of the Canadian national team and as a player development consultant for the Golden State Warriors. Steve will advise the NBA Academies on a number of areas, including player development on the court but also strength and conditioning, injury prevention and recovery initiatives. Coach Ruth Riley, a former WNBA Champion, WNBA All-Star and U.S. Olympic Gold Medalist, joins The NBA Academy Advisory Committee and brings a multitude of basketball knowledge and insight to the program. After finishing her college career at Notre Dame with an NCAA Championship and NCAA Final Four MVP Award, Ruth was drafted in the first round (fifth overall) of the 2001 WNBA Draft by the Miami Sol. Ruth is a two-time WNBA Champion (Detroit Shock) and WNBA All-Star (2005), and has extensive international experience, having competed in seven professional European seasons and competed on three USA Basketball National Teams. Ruth is dedicated to using basketball as a platform to promote social causes and well-being, and as a result of her community engagement, won the WNBA Community Assist Award in 2008. Ruth is the former General Manager of the San Antonio Stars and has previously led the scouting and talent identification initiative for The NBA Academy Women’s Program. 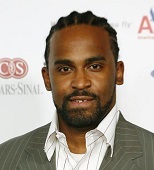 Originally from Martinique, Ronny Turiaf attended high school in France before a productive college career at Gonzaga University. After being named the WCC Player of the Year as a senior, Ronny was selected by the Los Angeles Lakers with the 37th pick in the 2005 NBA Draft. Over the next decade, Ronny played for seven NBA teams and won an NBA Championship with the Miami Heat in 2012. Ronny also competed on the French National Team, playing in the 2012 London Olympics, 2006 World Championships, and 2007 and 2009 European Championships. He retired from basketball in 2014. Ronny will advise the NBA Academies on scouting, recruiting, and player development.